● Shoppers can find a wide array of coupons offering percentage discounts, dollar savings, and free gift items at AHAVA. Discount coupons offer 15-30% savings sitewide or on category- and product-specific orders. Dollar saving and free gift coupons, on the other hand, usually entail a minimum spend. If your purchase can wait, try to keep an eye out for a sitewide coupon. 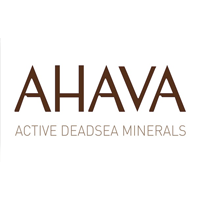 ● AHAVA Specials feature current money saving deals and other active promos. Shoppers should check out this page regularly for new offers. ● AHAVA offers free shipping with orders over $50 within the continental United States. ● AHAVA also offers a no-risk, 60-day money-back guarantee. Customers can return any container with fifty percent or more of the product remaining for a full refund in case they are not satisfied with their purchase. Ahava is a trusted brand in the field of skincare and body health. You can use the official website for Ahava to find a range of products for both men and women. You can use the skincare diagnostic tool on the website to help you develop an idea of what you can do to take the best care possible of your face and body. Face care products include cleansers and toners, exfoliators and masks, daily moisturizers, anti-aging products, eye creams, and much more. Body products include body moisturizers, hand and foot creams, shower products, bath salts, and dead sea spa treatments. There are also products for men, in addition to travel products.